Richard Victor Kalinoski was born October 13, 1952 in Greenbush, MN to Victor and Violet (Langevin) Kalinoski. 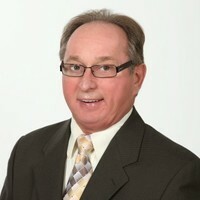 He graduated from Thief River Falls High School with the class of 1971. Following high school, Rick enrolled at the Thief River Falls Vo-Tech where he studied electronics. After college, Rick moved to Fargo and purchased J & J Auto Sales which he ran for 10 years. Pursuing his love for photography, Rick purchased Kiss Photo Labs and owned locations in Grand Forks, Fargo and Detroit Lakes. During this time he also owned and operated Dead Shot Bay Beach Club, a summertime resort. He operated the resort for many years and enjoyed every minute of it, making many long lasting friendships over the years. In his spare time he enjoyed spending time at the lake, snowmobiling in West Yellowstone and was proud of the fact he attended every WeFest since 1983. Rick also did all the photography for WeFest for several years in the 1980’s and early 90’s. He was a Lion’s Member from 1993 – 2017 and for three years was their President. He is preceded in death by his parents and one nephew: Ben Weigelt.